While we're on the subject of romance, let me share the view with you that I had last night with my hubby! We were on the 27th floor of the Hyatt Hotel in Denver in a bar called The Peak. 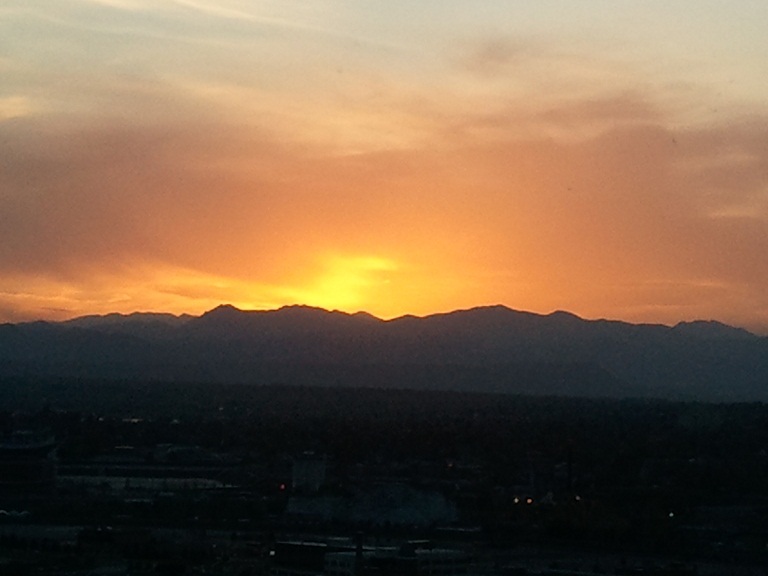 Sunset view of the Rocky Mountains. A little wine, a fantastic view, and my best friend...life is good.